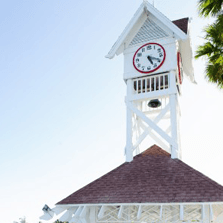 Wedding Planning & Photography from Clearwater-St Pete Beach to Anna Maria Island! Simple for you | Amazing for your guests! 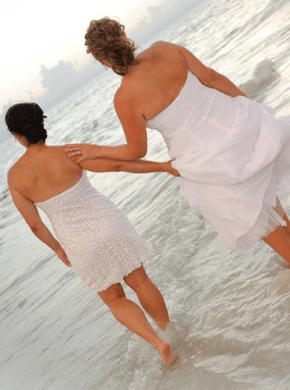 Whether you’re planning an intimate sunset beach wedding for two on our stunning white sand beaches, or an elaborate all-inclusive Florida wedding and reception package for hundreds at one of our favorite upscale wedding venues, we have the local knowledge and expertise to make your Florida wedding perfect…for you! 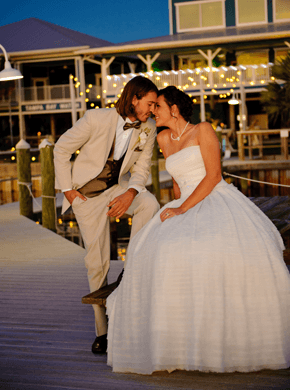 It doesn’t matter if you’re planning your wedding from right here in Florida or from hundreds of miles away, we work closely with you to make it the wedding of your dreams…not someone else’s pre-planned package. 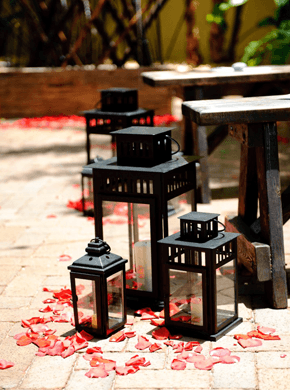 You tell us about your dream Florida wedding and reception – the wedding and reception venues, ceremony, colors, decor, music, and style you have in mind – and we make it a reality! 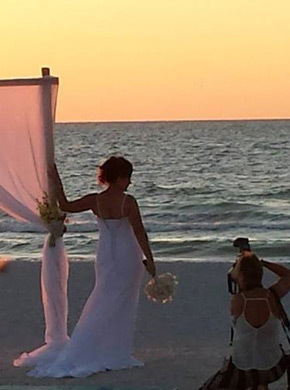 Our all-inclusive Florida wedding and reception packages are designed for you, with your ideas and inspiration as our guide! 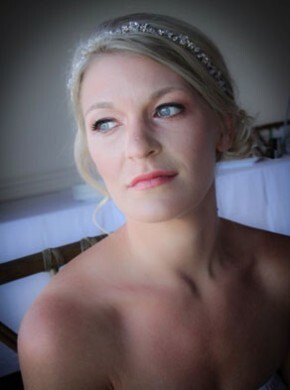 We offer world class event design, expert wedding planning and coordination, timeless wedding photography, unique wedding ceremonies, arches, chairs, decor, linens, live musicians, recorded music and sound, reception packages, and other services so you only have to deal with one vendor to plan the perfect all inclusive Florida destination wedding and reception package. Our staff is a close-knit team that works together frequently. 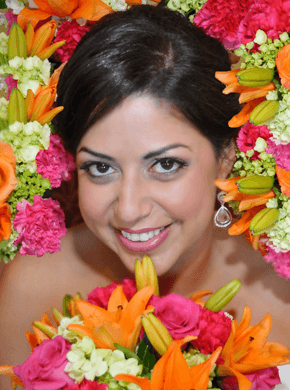 We love what we do, take pride in our Florida destination weddings, and have fun, so you can rest assured your Florida wedding will run smoothly. 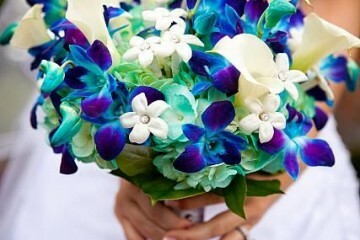 You are free to relax and enjoy your wedding day! What could be more romantic than standing on a tropical white-sand beach, your toes in the warm sand, beautiful turquoise waves lapping at your ankles, a gentle ocean breeze caressing your hair, standing under an elegant bamboo canopy with the love of your life, your favorite song playing in the background, surrounded by your closest friends and family as you promise your lives, your hearts, and your futures to each other? 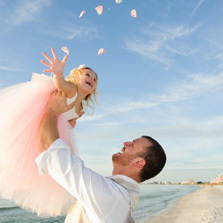 That is what our all-inclusive Florida beach weddings are all about! 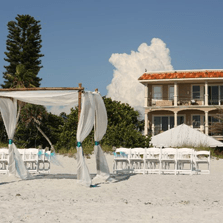 We offer all-inclusive Florida beach weddings that include your beach wedding photography, beach wedding ceremony, bamboo arches and canopies, chairs, music, sound, and more on Florida’s stunning white-sand beaches from Clearwater to Anna Maria Island. 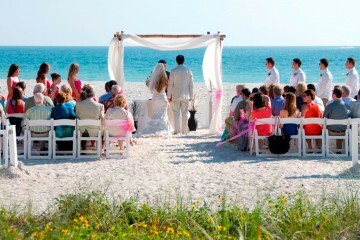 Our Florida beach weddings are simple, elegant, and perfect! Simple for you. Amazing for your guests! 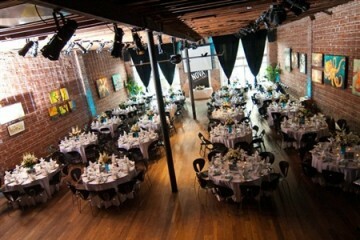 That is the Simple Weddings Experience!